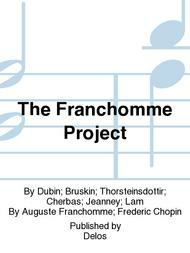 By Dubin; Bruskin; Thorsteinsdottir; Cherbas; Jeanney; Lam. By Auguste Franchomme; Frederic Chopin. Classical. 1 listening CD. Published by Delos (NX.DE-3469). This long-overdue tribute to the French Romantic-era virtuoso cellist and composer August Franchomme brings to light many of his long-neglected original compositions and arrangements for cello(s), most of which have remained unpublished and unheard for well over a century. This release thus fills a longstanding gap in the annals of music history, revealing fresh perspectives on an important and influential figure of his day whose significant role has long been underappreciated. As Chopin's close friend, confidante and musical partner, Franchomme transcribed many of the Polish master's famous piano works for cellos in various combinations and/or with piano; he penned many remarkable original compositions as well. Some of the best of both are recorded here for the first time. 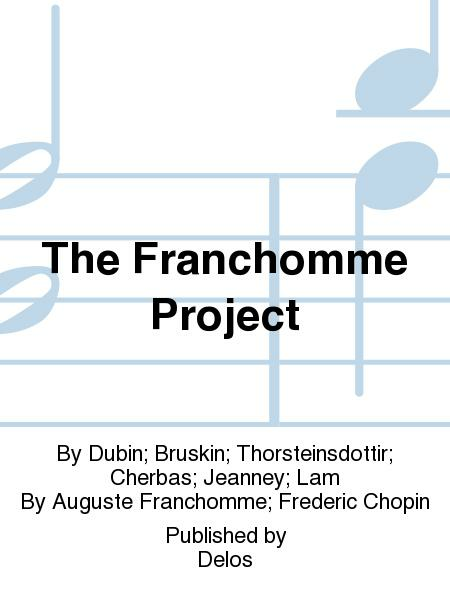 This project is the culmination of years of research by distinguished cellist Louise Dubin, who is also perhaps the world's leading scholar of Franchomme's life and work. She performs here as lead cellist, with the sonorous collaboration of fellow cellists Julia Bruskin, Saeunn Thorsteinsdottir and Katherine Cherbas as well as pianists Helene Jeanney and Andrea Lam.